It comes in two shades, one is a bright pinkish shade and the other is also bright but more yellowish tone. I got the more yellowish one, thinking the pinkish one might be just a bit pale for my skin tone, and, as it turned out, it was a good decision. 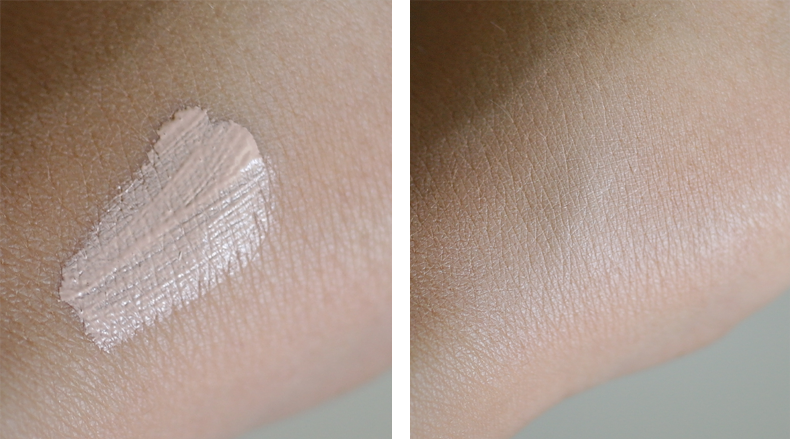 As you can see on the pictures I took (above and below), the one I got still looks a bit pinkish, but it actually matches my skin very nicely and I can use it as both concealer and highlighter. I absolutely love this product. It's really tiny (about half, maybe 2/3 the size of Elf concealer), but because you only need a few tiny taps of it, it's amazingly long-lasting. It blends very well and has a creamy consistency that isn't too thick and doesn't settle in your fine lines at all. It smells kind of powdery (personally I really like this smell) and a bit like Nivea lotion. And I just love how moisturizing it feels on my skin. With this product you will get medium to high coverage and your dark spots and imperfections will be nicely covered. 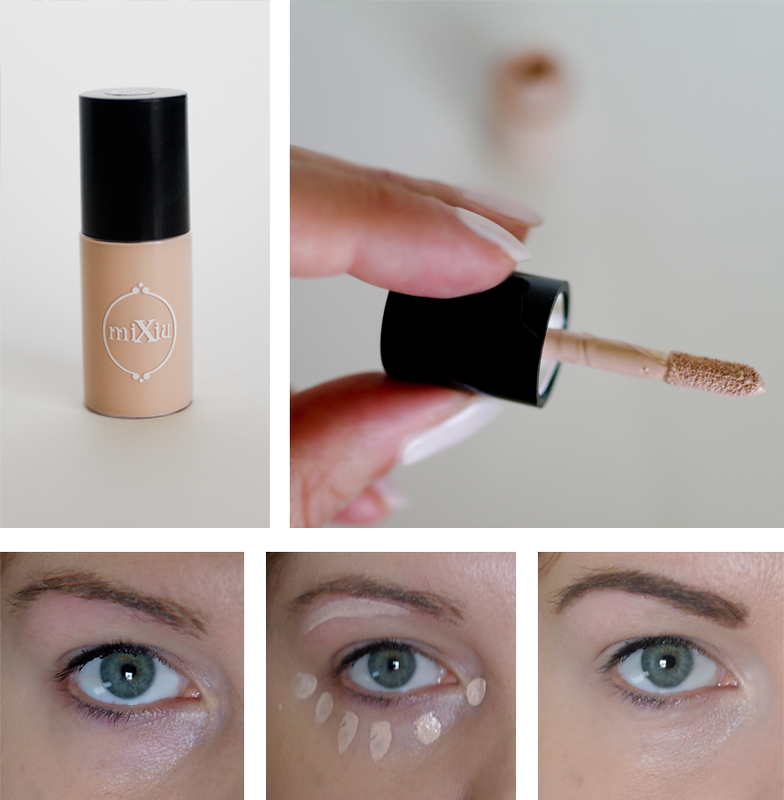 It will give you a very dewy, porcelain doll kind of look. I like using it as a highlighter when I contour, because it blends so well and leaves my skin feeling moist but not oily. If you're looking for a new concealer/highlighter product to try, I'd recommend this one, especially if your skin needs some extra moisture. Feel like checking it out and maybe trying for yourself? 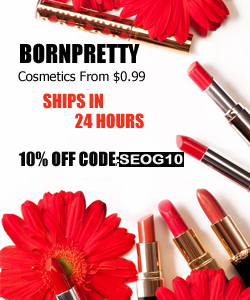 Here's an extra 10% OFF for you! And remember, Born Pretty ships FREE World Wide (with no minimum purchase! ).